A morally ambiguous symphony of bloody bullets and twisted townsfolk, 1966’s The Good, the Bad and the Ugly is a giddy celebration of eccentric cinema from Italian auteur Sergio Leone. Never mind the “Spaghetti Western” label, this is electric filmmaking that transcends genre. 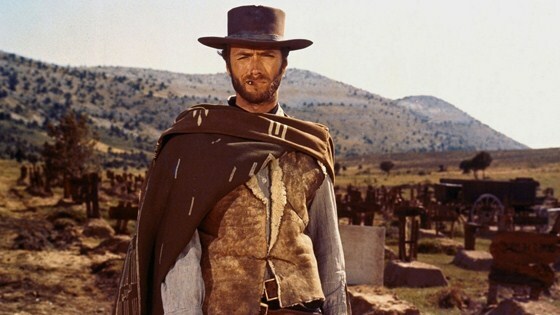 Clint Eastwood, Lee Van Cleef, and Eli Wallach play the respective title characters with dogged dedication and dirty drive, while Ennio Morricone’s iconic music creeps into your consciousness. Leone’s explosive combination of widescreen landscapes and close-up character portraits creates a mind-blowing movie-buzz. From the opening seconds to the closing credits, this epic tale, set against the Civil War, focuses on the cold-blooded realities of gold-hungry bounty hunters and the people they love to kill. Pulsing with reckless energy, this exploitation art-film brims with colorful, cold-blooded people, breath-taking visuals, and penetrating twists on the Western framework that will leave you gasping and grinning at once. (This version contains restored footage). Please note that this screening has been updated and will screen at October 8, at 7:00 pm at the LARK. *This film is part of Metallica: MVFF Artists in Residence series. 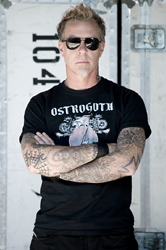 James Hetfield will be hosting the screening and introducing the film.